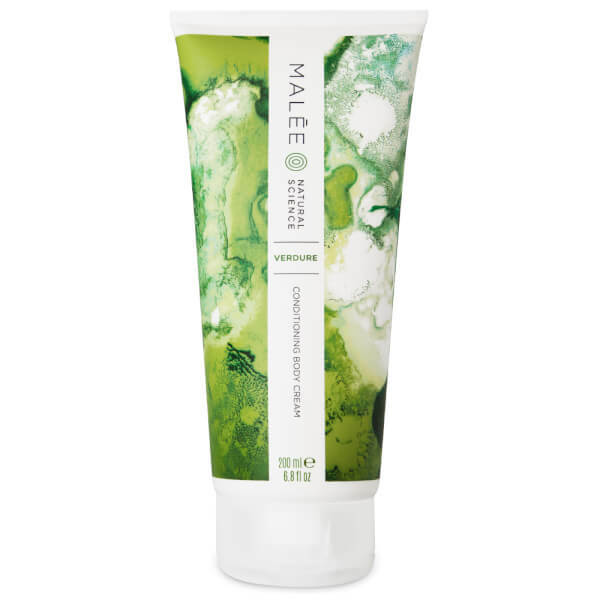 Smooth and protect skin with the Verdure Conditioning Body Cream from Malée Natural Science. The rich body cream melts effortlessly and is designed to improve skin’s health and appearance with repeated use. 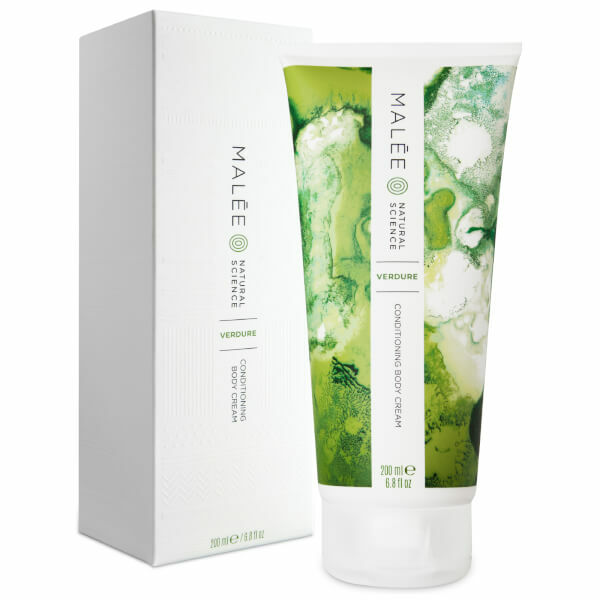 Inspired by Africa’s wetlands, the moisturiser envelops the body in a fresh forest green fragrance that guarantees to uplift and revitalise with warm and earthy notes of Citrus, Mint and Patchouli. Enriched with a blend of Avocado, Sweet Almond and Wheat Germ oil, the luxurious cream delivers essential moisture to skin and alleviates areas of dryness. The non-greasy formula is complete with Shea butter, which offers additional hydration and a soothing feel. Expect nourished skin that is comfortably hydrated and boasts a revitalising fragrance. Squeeze a small amount of our Conditioning Body Cream onto the palms of your hands and rub together to warm and spread it evenly in sweeping motions over all over your body. Pay attention to dryer areas such as elbow, knees, heels and elbows. For better hydration prep skin by exfoliating once a week with our Conditioning Body Scrub. Aqua (Water), Caprylic/Capric Triglyceride, Cetearyl Alcohol, Cera Alba (Beeswax), Cetyl Alcohol, Glycerin, Glyceryl Stearate SE, Persea Gratissima (Avocado) Oil, Prunus Amygdalus Dulcis (Sweet Almond) Oil, Phenoxyethanol, Parfum (Fragrance), PEG-20 Stearate, Tocopheryl Acetate, Butyrospermum Parkii (Shea) Butter, Polysorbate 20, Carbomer, Triticum Vulgare (Wheat) Germ Oil, Limonene, Disodium EDTA, Ethylhexylglycerin, Hexyl Cinnamal, Sodium Hydroxide, Benzophenone-4, Linalool, Geraniol, Benzyl Benzoate, Citral, Aloe Barbadensis Leaf Juice, Butylphenyl Methylpropional, Hydroxyisohexyl 3-Cyclohexene Carboxaldehyde, Hydrogenated Olive Oil, Benzyl Salicylate, Olea Europaea (Olive) Fruit Oil, Farnesol, Hydroxycitronellal, Olea Europaea (Olive) Oil Unsaponifiables, Tocopherol, Citric Acid, Potassium Sorbate, Sodium Benzoate, Sodium Sulfite.